Zolo Mist is a ladies PG in Hinjewadi, Pune. 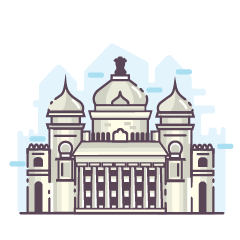 Tech hubs like Accenture, L&T, Symphony, Smartek, Cisco, etc are located within the proximity of this PG. Any resident can enjoy facilities such as housekeeping, free Wi-Fi, and parking, apart from the basic amenities that make one’s life hassle-free. This luxury PG provides an option for choosing from double and triple sharing rooms. One can enter the PG only through fingerprint scanning and as such it makes it one of the secured PGs in the locality. Apart from the basic amenities, the rooms have individual wardrobes and beds with certified mattresses. North Indian and South-Indian meals are provided two times on weekdays and three times on weekends, both vegetarian and non-vegetarian. One can see the glimpses of happiness and enjoyment in the open terrace or recreational space provided for celebrations and indoor games. This PG is easily commutable to places such as Dange Chowk and Hinjewadi Chowk. One of the major advantages of staying in this PG is that Zolo tends for cashless transactions and is managed by a team of highly trained professionals.